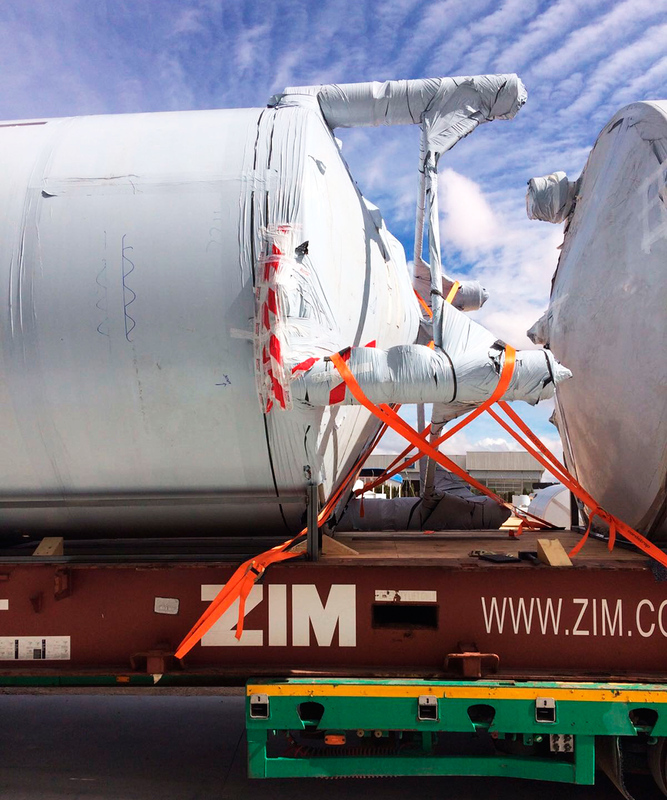 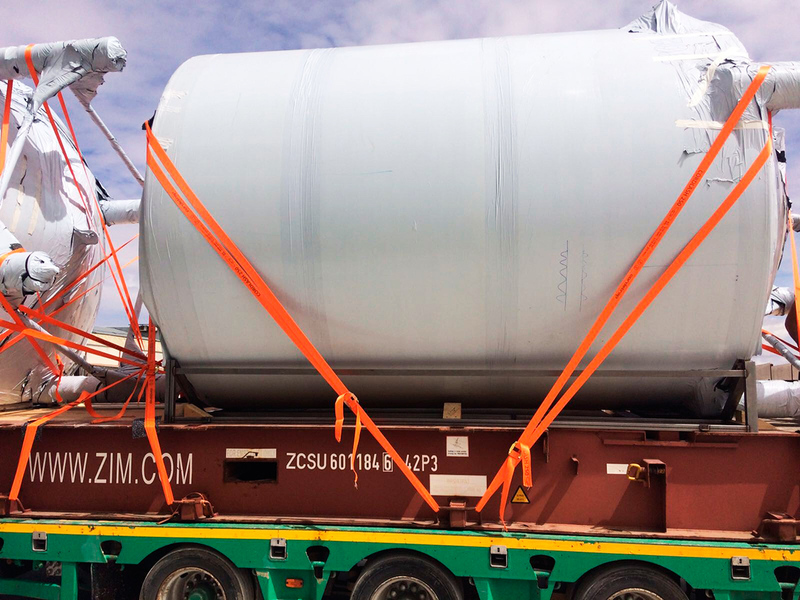 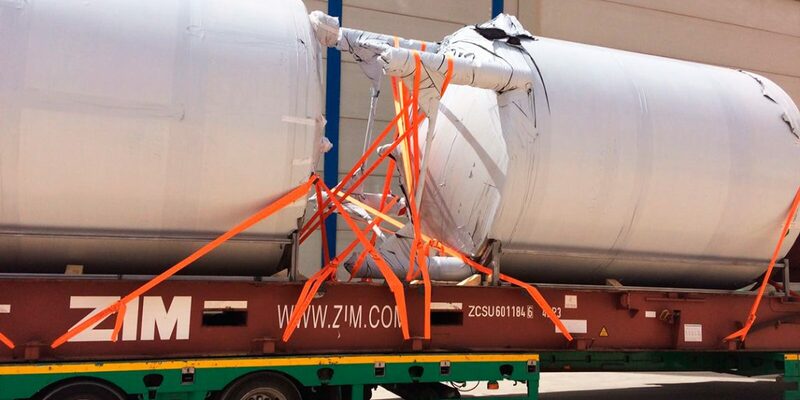 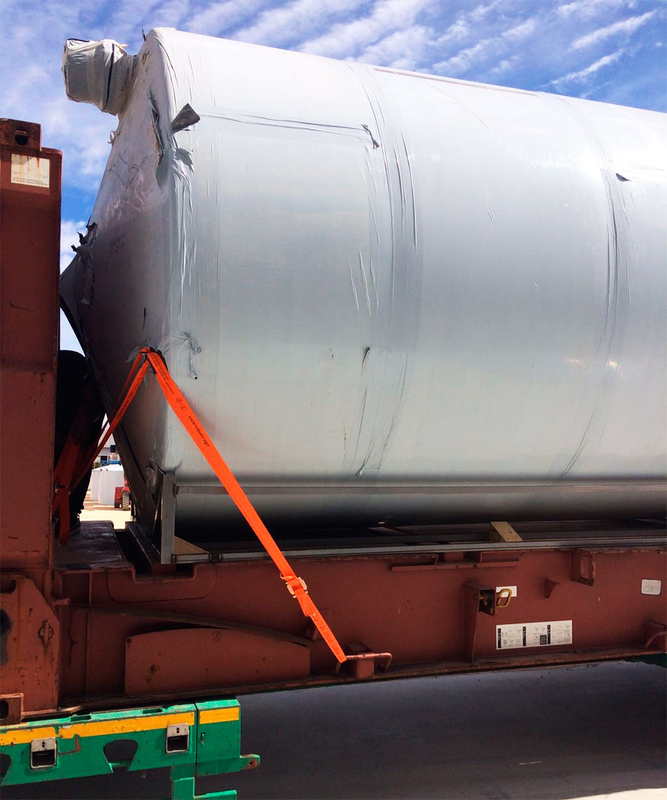 An interesting feature of this shipment was the lashing and securing of the tanks on all three 40′ flat rack containers (out of gage), for which the Smart team had to go to client’s facilities in order to reduce costs. 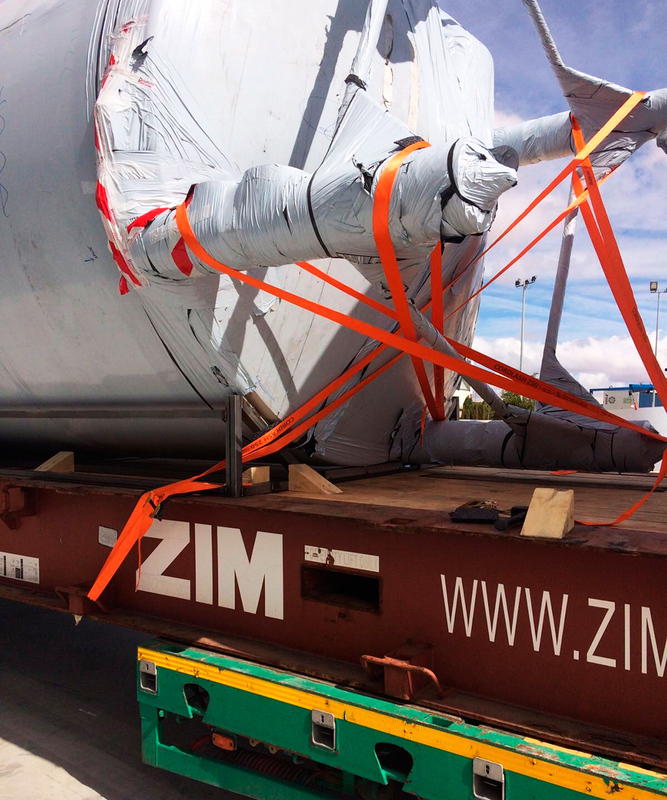 Once the lashing and securing was done, the flat rack containers were moved to the Port of Valencia to continue its shipment journey to Veracruz in Mexico. 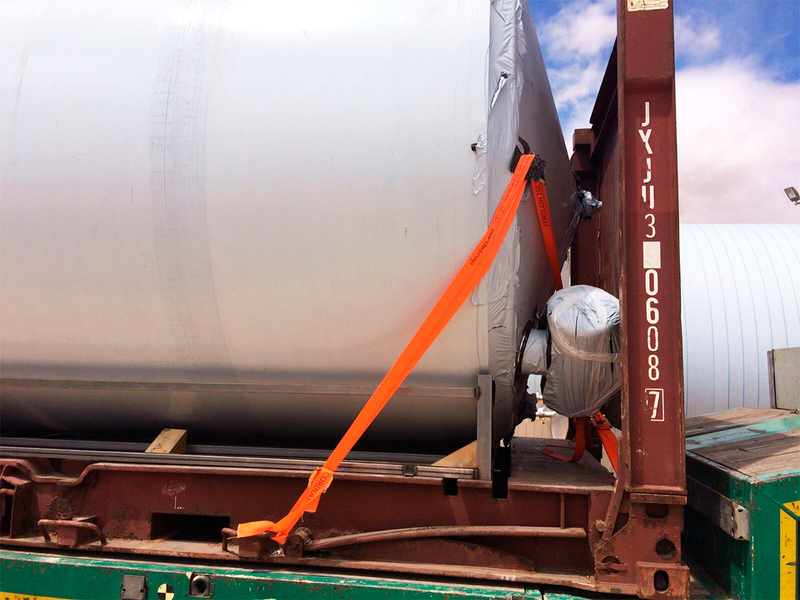 As in every Smart project, our team did some photos that we are sharing with you, to detail the entire process of the shipment we developed. 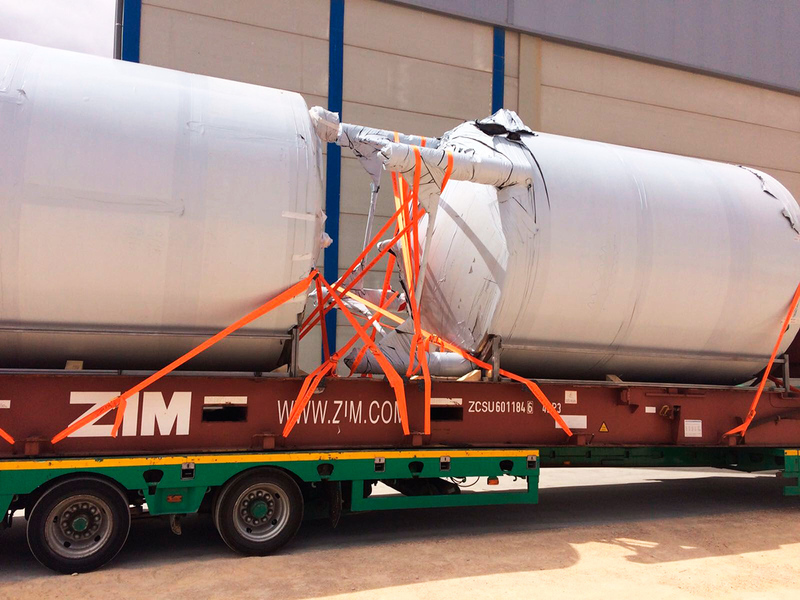 Measures: Tanks of 5.40 meters long and 2.76 meters in diameter with a 1500 kg weight each.